This story is cross-posted from the Progressive Pulse blog. The latter was taken up and sparked a heated debate. Sen. Terry Van Duyne, D-Buncombe, raised her voice as she stood up and talked about her heartbreaking conversations with the LGBTQ community. Sen. Floyd McKissick, D-Durham, Granville, likened HB2 to discrimination in the Civil Rights Era, but was quickly told by Lt. Gov. Dan Forest to spare everyone the history lesson. 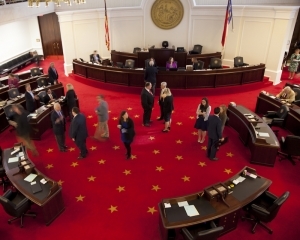 The ongoing Senate discussion ended abruptly with an unexplained 10-minute recess turned two-hour break, in which the House voted to adjourn with no action on an HB2 repeal. When the Senate finally returned, President Pro Tem Phil Berger introduced an amendment that lengthened the cooling-off period to 30-days after the long GA session in a move he described as a compromise. The Democrats didn’t see it that way. He said the deal was for Charlotte to repeal it’s ordinance and the legislature to repeal HB2, in full. A cooling-off period, he and other Democratic senators said, was not a full repeal. Berger said the cooling-off period was to ensure other cities didn’t enact ordinances like Charlotte’s immediately following the repeal of HB2. He also said it would buy legislators time to work together toward a resolution. 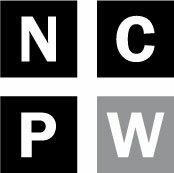 The amendment was adopted despite the immediate death of two amendments Democrats previously tried to offer – one that would reduce the cooling period to three months and another that would change the language of a provision preventing cities from enacting ordinances having to do with minimum wage. After another recess, Berger said Republicans didn’t believe Democrats that they truly wanted to repeal HB2, and that they were going to give them one last chance by splitting the bill into two parts. The first part was a simple HB2 repeal and the second was a cooling-off period on its own, and they would take separate votes. “What you have before you is not some gimmick to create the best of both worlds,” Berger said, adding that it was a good faith effort on their part. Pictured is the Senate floor. Democratic leader Dan Blue, from Wake, pointed out that if both parts of the bill passed, they would again become one bill to be taken up in the House. He and other Democrats said the move was just another way for the Senate Republicans to pass what they wanted to pass. When it came time for a vote, the first part, the simple repeal of HB2, failed, subsequently and ultimately killing the bill. Berger blamed the Democrats and said he couldn’t believe what happened. Sen. Angela Bryant, D-Halifax, Nash, Vance, Warren, Wilson, called the bill and Berger’s attempt to split it smoke and mirrors, and asked who he thought was stupid enough to fall for it. McKissick said he was afraid outsiders would read what happened at the special session as the state doubling down on discrimination. He encouraged both parties to come together in the future to work collectively on a solution. 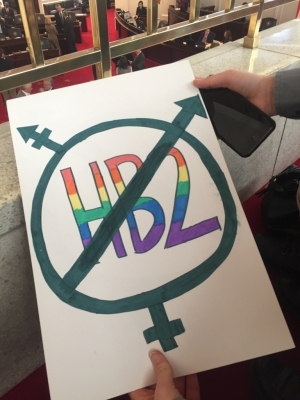 The Senate adjourned just before 7:30 p.m. without ever taking up the Democrats’ Senate bill that simply repealed HB2. After the session, House Rep. David Lewis, R-Harnett, placed the blame largely on the Charlotte City Council – and especially Mayor Jennifer Roberts. That bred mistrust in the GOP caucus, Lewis said, and Roberts’ previous clashes with the General Assembly led to a split that couldn’t be bridged to achieve repeal. But Lewis also acknowledged a divide in the caucus over LGBT issues in general. Rep. Chris Agro, D-Guilford, is one of just two out LGBT legislators in the General Assembly. He also serves as executive director of LGBT advocacy group Equality North Carolina. He said Charlotte, its mayor and its council acted in good faith this week to secure a full and unequivocal repeal of HB2 – but the General Assembly failed to follow through on their end of the bargain. Joe Killian contributed to this report.